Independent developer Toxic Games today announced that Q.U.B.E. 2 is heading to Nintendo Switch on February 21, 2019. for $25.99 / €25.99 £22.99. It will be available on the Nintendo eShop with a 15% launch discount. Super Rare Games today also announced their partnership with Toxic Games to release the game physically for the Nintendo Switch – only 4,000 copies of the game will ever be printed, and pre-orders for the game open on February 13 exclusively at superraregames.com. The Super Rare physical edition will include a 12 page full colour manual, interior artwork, exclusive sticker and three trading cards randomly selected from the five-card set. These copies will be the first ever physical console version of the Q.U.B.E. series and will be a must have for any fans of the IP and puzzle genre. Q.U.B.E. 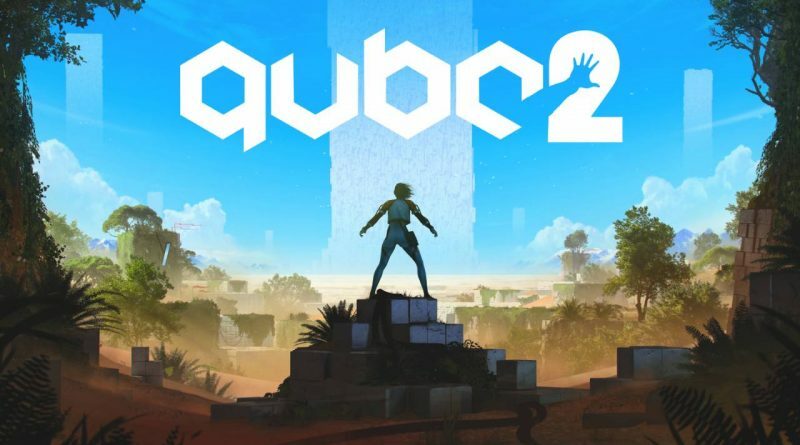 2, sequel to the hit indie puzzle game, Q.U.B.E., puts players in the shoes of British archaeologist, Amelia Cross. Awaking among the ruins of an ancient alien landscape and with the help of fellow survivor, Emma, Amelia must face the challenges of the Q.U.B.E. in the hope of finding a way back home. Q.U.B.E. 2 features over 80 puzzles, diverse environments which expand the Q.U.B.E. world, new and improved game mechanics, full colour blind support and an original soundtrack by BAFTA-nominated composer, David Housden.